We do all our breaking and exercising at our satellite yard where we have the use of a grass gallop, a horse walker, and a network of quiet country lanes so we can prepare the horses to a high level of fitness before joining their trainers. 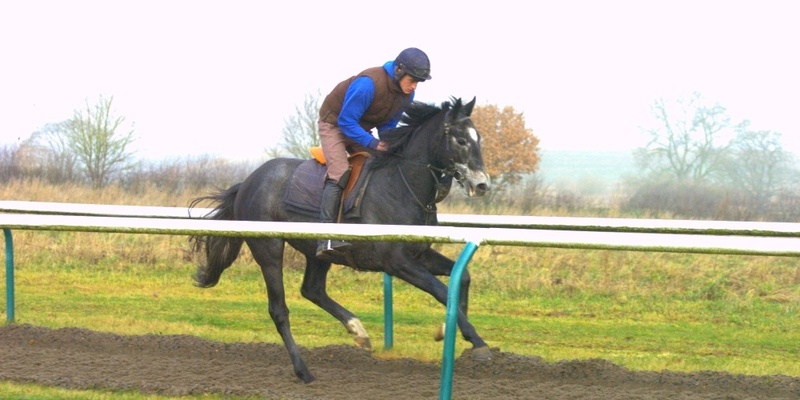 Periodically, we also transport the horses a short distance - around 3 miles - to an All Weather Polytrack 6 furlong gallop, with a steady incline, where we can put some extra stamina work into them and prepare them for what to expect when they enter or return to full training. Ballynagour Trained by David Pipe. Winner of five races including the Grade 3 Byrne Group Plate at the Cheltenham Festival in 2014, and placed at major festivals including Aintree and Punchestown, and in several Class 1 chases, including second to Silviniaco Conti in the Betfred Bowl Chase (Grade 1) . Soll Now trained by David Pipe and won six races, earning £144,064, and has been a regular participant in the Grand National, finishing 7th in 2013 and 9th in 2015. Blazing Speed An eight-time winner including the QE2 Cup (Group1) in 2015 and the Standard Chartered Champions and Chater Cup (Group 1) in 2016, both in Hong Kong, and amassed £3.5 million in prize money. Reared and Sold by Mickley Stud. Brown Panther Winner of Dubai Gold Cup 2015 for Michael Owen. Born, reared and broken by Mickley Stud.